Changing Pad Covers not only protect your changing pad from messes, they can also brighten up your diaper changing area! We have changing pad covers in simple patterns and colors, such as arrows, polka dots, stripes and solids that will coordinate with a variety of baby bedding fabrics. Browse by color including gray, aqua, navy, pink and more. 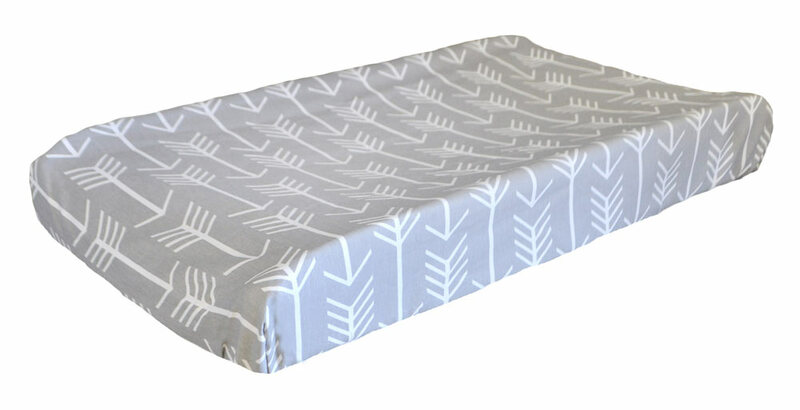 Also available are changing pad covers that coordinate with all of our crib collections. 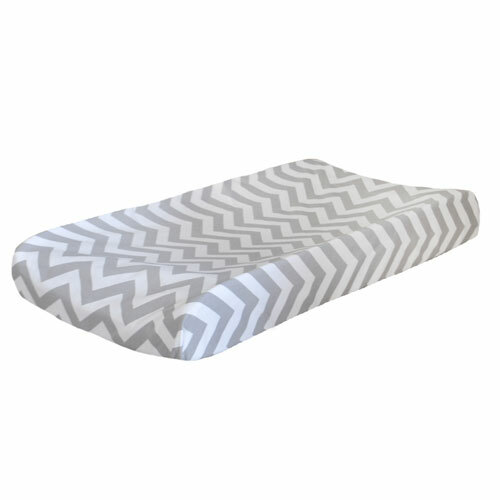 Choose from a wide variety of flat or contoured changing pad covers for your baby's nursery. Or design a custom diaper changing pad cover for your baby's nursery! Custom changing pad covers are available using any of our over 200 fabrics. A change pad cover is perfect for a well coordinated nursery! Buy more than one, so you are sure to have a back up, just in case!